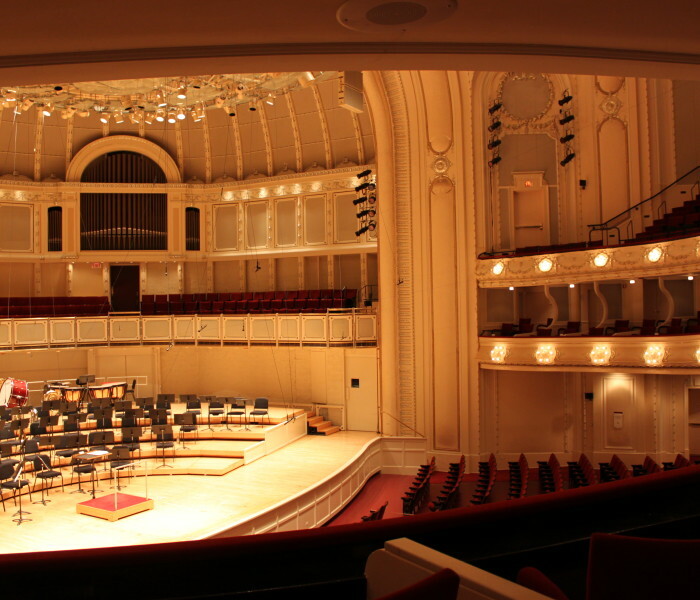 For nearly the first fourteen years of its history, the Chicago Symphony Orchestra performed at the Auditorium Theatre (completed in 1889). 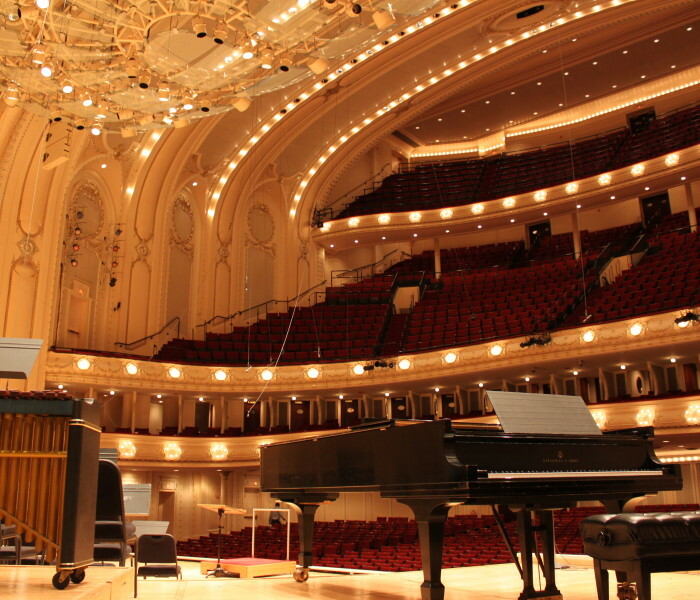 Orchestra Hall—the long-standing dream of Theodore Thomas—was designed by CSO trustee and Chicago architect Daniel H. Burnham and completed in 1904, at a cost of $750,000. The dedicatory concert, led by Thomas, was held on December 14 of that year. 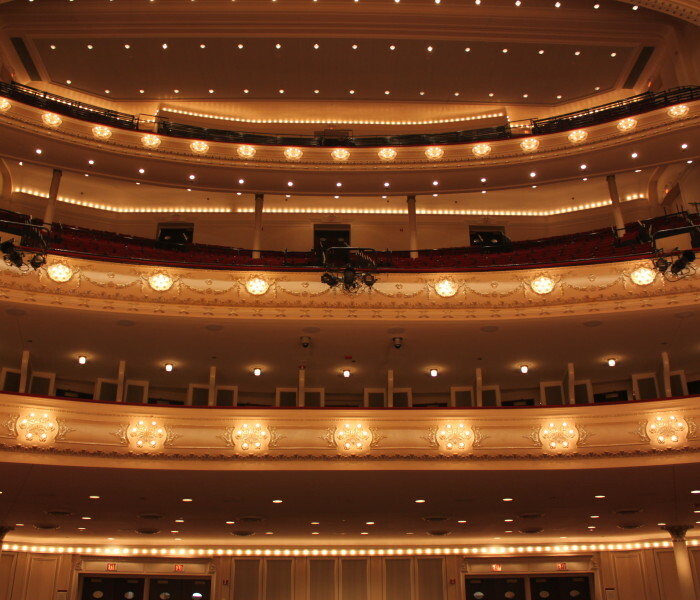 Orchestra Hall has been host for a variety of performances and presentations since its dedication in 1904. 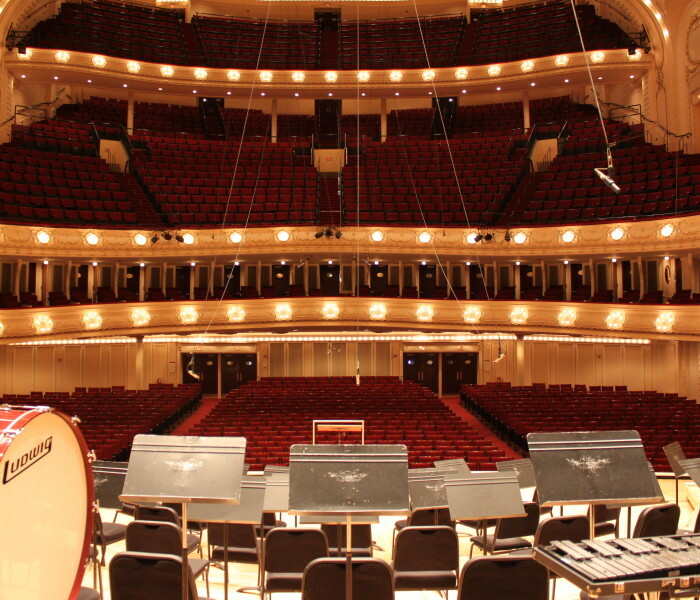 During its first fifty years, Orchestra Hall was the regular home of the Chicago Symphony Orchestra as well as the Apollo Musical Club, the Mendelssohn Club of Chicago, the Chicago Business Men’s Symphony, the Commonwealth Edison Orchestra, and the Marshall Field Choral Society. Mayors Richard M. Daley, Jr. and Harold Washington both were inaugurated during ceremonies held at Orchestra Hall. In addition, the Hall has hosted countless lectures (including Amelia Earhart, Eleanor Roosevelt, and Martin Luther King, Jr.); movies; commencement ceremonies; billiards tournaments, religious services; suffrage and other political rallies; and visiting orchestras, choruses, and dance companies from all over the world.